Lots of people drink tea, in fact, it’s one of the most popular drinks in the world and in the U.S., 2 billion men and women choose tea instead of coffee each morning. 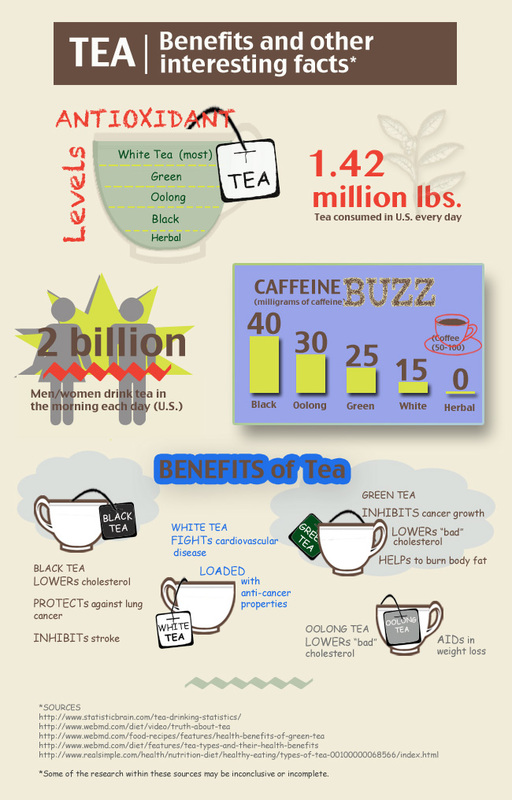 Besides being a great way to start your day, tea also delivers some real health benefits. Several teas, in particular white, black, green, and oolong teas, have antioxidants which some research suggests can help your body fight diseases like cancer, heart disease, obesity, and diabetes. To learn more, take a look at this graphic!